SOUNDS AND SORCERY: CELEBRATING FANTASIA is rated 2.3 out of 5 by 7. Sorry there are no shows for Sounds And Sorcery: Celebrating Disney's Fantasia right now. 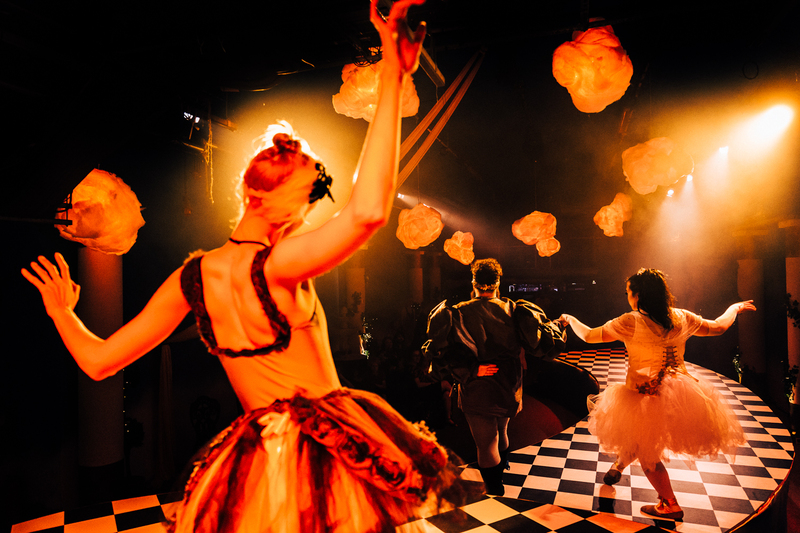 As featured in 'SUMMER'S HOTTEST TICKETS' - The Sunday Times, June 2018 This summer, the exciting underground world of The Vaults presents Sounds and Sorcery, a new, immersive music concert experience, inspired by Disney Fantasia. Arrive at your destination underneath Waterloo station, collect your headphones at the door and step inside the tunnels. It's time for a dance with a funky hippo, walk in a dark prehistoric wasteland, seek out the fairies in an enchanted forest, if you dare, sneak into the Sorcerer's lair and experience the eerie majesty of Bald Mountain. Explore the space freely as each new tunnel reveals another stunning installation. Using cutting edge binaural sound recordings, 3D projection and light installation, the classical music of Disney Fantasia will be brought to life with musical sorcery. This is a new, exhilarating and absorbing way of going to a concert, suitable for young and old; original fans and those who have never seen the film; let the sorcery begin! Rated 2 out of 5 by EmJ from Underwhelmed Very basic props and stage design. Magicians nephew section good - rest is average at best. Rated 1 out of 5 by As I am from Didn’t live up to the description Sadly I was disappointed, some of the rooms were poor in concept. Lost interest after a minute in 3 of the parts. The sourcery live production was enjoyable that was the highlight. Rated 1 out of 5 by Sunny123 from Disappointing I have never had to leave a bad review before but this was so appalling I felt I had to say something. The other shows I have seen at the Vaults have always been excellent but this was basically a whole lot of nothing. Nothing Disney about it, just used the music through crackly headphones and dark rooms which looked like they had been filled with things made by amateurs. Also it was absolutely sweltering and I just couldn't wait to leave. Rated 5 out of 5 by PaulCrosby72 from A unique experience! We came to see Sounds and Sorcery not really knowing what to expect, but I can confidently say that this was one of the most exciting and unique expereinces I have seen in London recently. 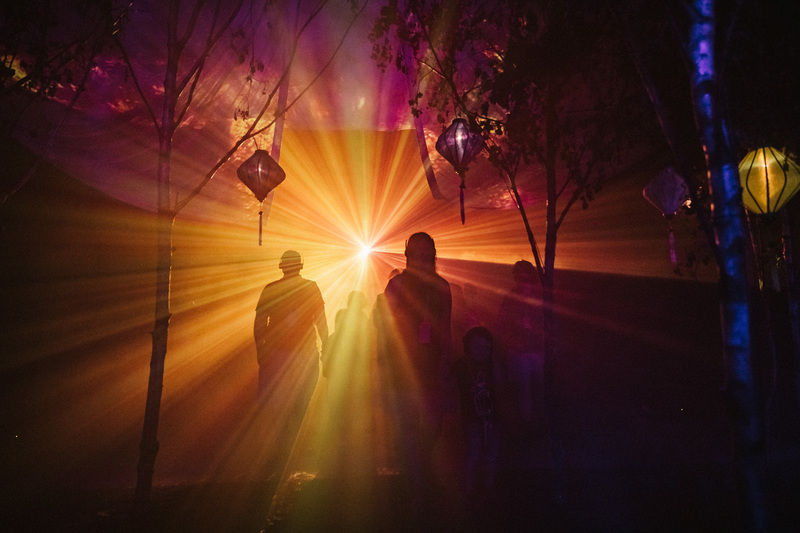 It's more of an immersive exhibition rather than theatre, with incredible set pieces that you can interact with while walking around listening to the brilliant soundtrack of Fantasia. There are a few performance though - The show the Sorcerer's Apprentice through a short performance, through dance and A LOT of water. My 2 kids (7 and 11) loved it and I would definitely recommend to other parents looking for something a bit different this summer. Rated 1 out of 5 by benmully from Absolutely terrible! Feels really home made and amateurish. Disney should be ashamed they put their name on this! 8 of us came to London for a friends day out for this, we shouldn’t have bothered. Rated 5 out of 5 by B87 from Brilliant experience! We really enjoyed this experience, it was so different and interesting. Would definitely recommend. Rated 1 out of 5 by Sassss from Worst thing I’ve seen in a long time!!! I really can’t stress what a disappointment and a waste of money this ‘experience’ was. It’s based on the music of Fantasia and yet the headphones we were given crackled and completely destroyed the music. Unforgivable that the tickets are so expensive and the headphones are so bad. Nothing had anything to do with Fantasia, one room was just a cinema screen of a man burning...why do I want to see that? it was lazy, most rooms involving video footage. It was really bad and just wish I could get my money back!